All these ideas came pounding into my head this morning. I was thinking about my daughters “Dragon Tree” campaign and started wondering. Why are the dragons all locked up in a tower and gone from the Dragon Tree? The players (my kids) want to free the dragons and train/ride them. The players characters are renowned for their climbing skills, and while they haven’t reached the top of the tree (where the dragons used to roost) they have gotten higher than anyone in recent history. There was a great hero, Nadaar, who was trying to free the dragons, a process that involved a great quest, ending (or at least including) climbing the Dragon Tree with a ruby pendant. However, he fell from the tree and then was beset by agents of an evil vampire dragon (apparently the only kind that is free of the Red Tower), who stole the ruby pendant after killing him. The king is unconsolable (due to a failed diplomacy roll) and will weep for his fallen knight for a year and a day, rather than take any action to avenge his murder. The players wish to explore these places in game: Ghost City, Troll City Ruins, Dissapearing Lake, and the Red Tower. What if the dragons didn’t leave the Dragon Tree, but instead were banished? What if they were banished because they used to rule over men (that they kept as slaves) and the races of men (PHP playable races) eventually overthrew them? What if all that was true, but it had been so long that people forgot, and instead remembered Dragons as mythical creatures of legend, diefying them? What if only the line of kings or some holy order, or what not still remembered the truth. And those people were charged with stopping anyone from releasing the dragons, lest they rule over man again? What if it was someone in that line or order that actually pushed Nadaar off the tree, rather than just him falling. What if they were doing it to stop him from releasing the dragons. What if he was going there to free the dragons (or some of them) to help fight the evil vampire dragon Visceriath who had escaped (or perhaps was never caught)? What if the author of the book they read, was an elf named Glessil, who had been cast out, killed, cursed or otherwise had to leave Dragon Tree, and now resides in Ghost City (as a ghost of course), where the rest of her (more accurate) works are kept. What if her name is on the text and it is known that the rest of her works are in Ghost City? What if I ask the kids if the kings son is a good guy or a jerk. If he’s a good guy, he might say that there is more to Nadaar’s death than they know. That they should try and avenge him but keep quiet about it and sneak out of Dragon Tree to find out more in Ghost City? If they say he is a jerk, what if he banishes them because they are Dragonborn. He was the one that pushed Nadaar off the tree and wants them out of the city because he knows they were Nadaar’s allies. What if he sends them to the Ghost City as punishment? What if, on their way to Ghost City, the Tanglewood forest presents many dangers but a specter in the woods encounters them with riddles. Easy ones like “how far can you walk into a forest?” The riddles, if answered incorrectly will lead to an encounter that shows them the answer, so they can be asked again later. If answered correctly, will grant them a boon in the form of avoiding some danger. Either way they will a) get them closer to Ghost City and b) answer 1-3 riddles which answers can be brought back in later in the game (if applicable) to help them or reinforce a theme? I’m liking where these ideas might be going. I can see lots of turmoil between the people that want to free the dragons and those that want to keep them caged. I wonder though if introducing slavery, and the possible redemption or forgiveness of the slavers is too mature a theme for kids? Also, how will they feel if the creatures they worship end up being slavers? Does that betray their original campaign concepts? I see. It seems from reading it, this might be counter to the goal of the girls getting dragons as pets. Unless you go the D&D route of having both good and bad dragons. Perhaps the bad (chromatic) dragons were the slavers, and the good (metallic) dragons helped to liberate humanity from them, before disappearing themselves? Yeah, I can dig that. The good ones might have created a self imposed exile, lest the balance get too far out of whack with just the evil dragons locked up. Nice. Thanks Ben. What about some sort of extra-dimensional prison? The bad dragons locked inside, and the good dragons surrounding it, all asleep using some sort of dream-magic to keep it closed? But then the magic begins to fail, and the bad ones start to escape. 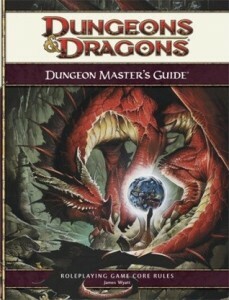 They get out into rthe world, and form weird dragon cults dedicated to shattering the prison, and collapsing the tree?